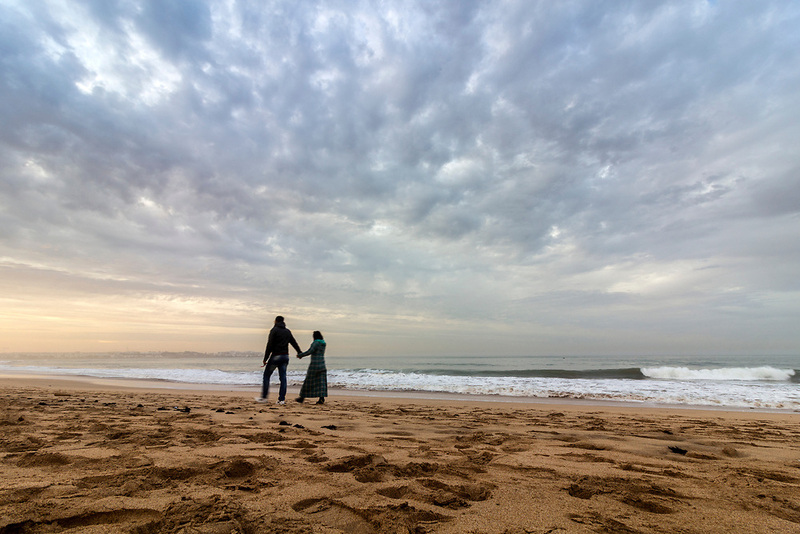 Couple walking at Sunset in Dar Bouazza beach, in Tamarist, Casablanca. Couple walking at Sunset in Dar Bouazza beach, in Tamarist, Casablanca. Morocco.